Buyer BEARS THE POSTAGE RISKS for POSTAGE dealing. I will not be liable for item lost during delivery, or for some reason the parcel never arrive. For damaged item (Spillage/Leakage), refund will be made or I will have another sent. You may also purchase most of the items on Lazada if you are in a hurry but postage limitations will apply. Dear all, price is as stated so please do not ask for best price unless you are buying in bulk. For Optimum Pro series, kindly inquire in PM. Postage: Parcel will be picked up by courier in best arrangement possible. (Unless a public holiday falls on that day). BUYER BEARS THE POSTAGE RISKS. 1) BUYER BEARS THE POSTAGE RISKS. 2) Full payment is needed for Postage dealing. No Rinse™ Wash & Shine is the most technologically advanced car wash system that only requires 1-2 (1 gallon = 3.75 Litre approx.) gallons of water to wash the entire car. 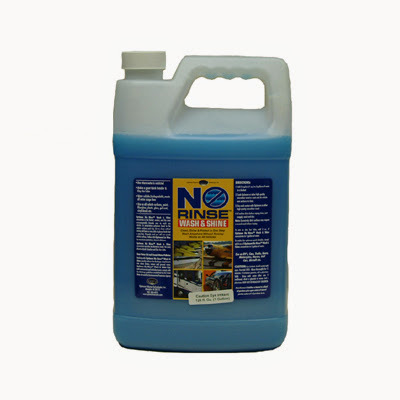 No Rinse™ Wash & Shine does not require rinsing since there are no soapy surfactants to wash off into the storm drains. Additional benefits are faster washes, ability to wash anywhere at anytime including washing inside the garage during the cold months, no messy water runoffs, and greater looking car finishes. These are some of the reasons No Rinse™ Wash & Shine is being used by many professional detailers across the country. Add 1 oz. (30ml approx.) of Optimum No Rinse™ Wash & Shine to 2 gallons of water in a bucket. Soak a plush microfiber towel into the wash solution and wash one section at a time till it is completely clean. Dry the section using a clean plush microfiber towel. It is also recommended to use Optimum Opti-Mitt to wash if you possess one. 1) Use 1Oz to 4 litres of water. You can adjust more or less to suit your usage. Some prefers extra foamy and suds, some just like it well done. 2) Recommended to use Opti-Mitt if you possess one. Optimum Opti-Mitt is made of high density polyurethane foam that is very soft, highly absorbent, and very durable. 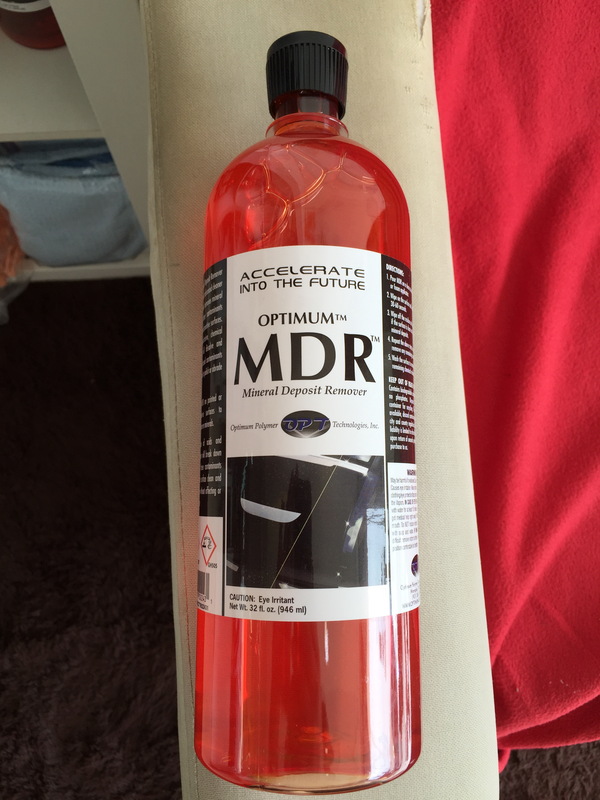 It is specifically designed to work with Optimum No Rinse orOptimum Car Wash to make the process of washing cars safer and easier. The waffle design creates a much larger surface area for removing all the dirt and grime from the surface safely and effectively. Optimum Opti-Mitt provides a great wash medium for Optimum No Rinse or Optimum Car Wash. The 85-90 pores per square inch allows for the wash solution to flow to the surface and add great lubricity during the wash to protect all automotive surfaces from marring. Opti-Mitt is also very absorbent and can pull all the dirt and grime safely and effectively. 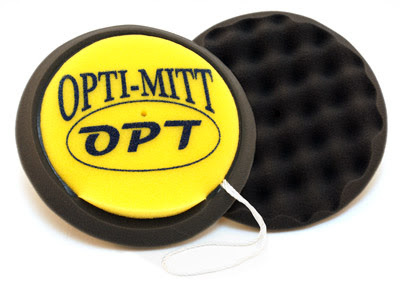 The yellow backing of Opti-Mitt is much coarser and is designed to be used as a bug sponge or cleaning wheels. So in essence, you will get two wash mitts in one with Optimum Opti-Mitt. Optimum Power Clean ™ is an all purpose cleaner that safely cleans your vehicle’s dirtiest surfaces. Remove bugs, brake dust, and oily grime when usingPower Clean full strength. Dilute it to clean leather, vinyl, and plastics. 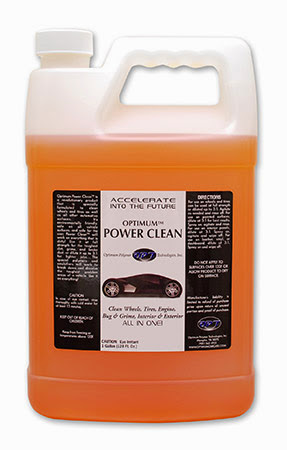 Optimum Power Clean™ is an environmentally friendly, safe cleaner that will leave your vehicle spotless! Use full strength, Optimum Power Clean™ cleans and de-greases the engine compartment, cleans tires, wheels, and wheel wells. This sophisticated formula dissolves bugs and powers through brake dust and oil to clean your vehicle’s dirtiest parts. Dilute Optimum Power Clean™ up to 3:1 to safely clean leather, vinyl, paint, and plastics. Remove old dash dressings and tough residues from interior panels. Wipe away spills and spots from leather seats. Special polymers and emulsifiers break down contaminants with minimal agitation. Optimum Opti-Glass Clean & Protect is a state-of-the-art glass cleaner that contains an advanced polymer designed to clean glass while adding repellency to rain, sleet, snow and airborne contaminants. Optimum Opti-Glass Clean & Protect can be used as a stand-alone glass sealant or as a booster to Optimum Opti-Glass Coating. 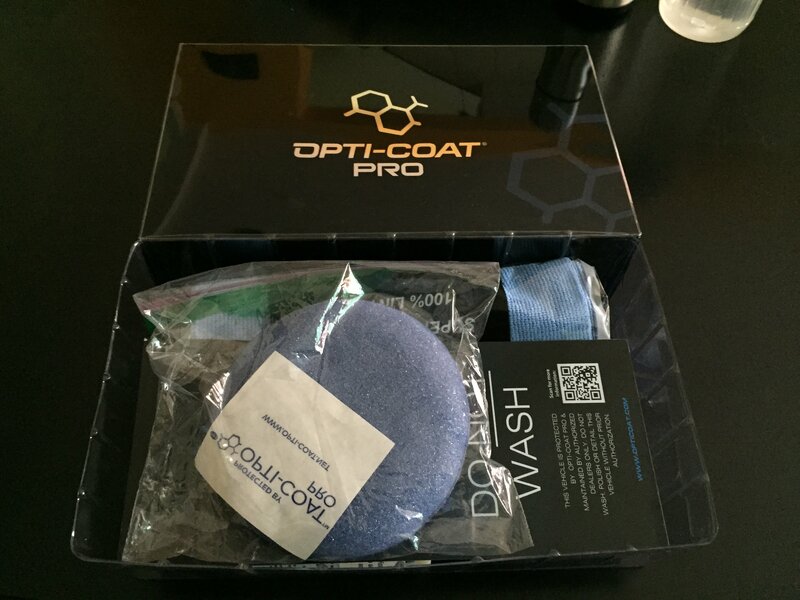 As with other surface care protection products manufactured by Optimum Polymer Technologies, Opti-Glass Clean & Protect is incredibly easy to use! Through countless hours of research, development and testing Optimum Polymer Technologies, led by Dr. David Ghodoussi, created what is arguably the most hydrophobic exterior glass cleaner! Not only does Optimum Opti-Glass Clean & Protect remove built-up dirt and road grime, it imparts a hydrophobic polymer coating that causes water to bead up and roll off. Regular application of Opti-Glass Clean & Protect will keep your vehicle’s exterior glass clean and clear. Optimum Opti-Glass Clean & Protect is a must if you live in an area with frequent snow fall. Rain, sleet, ice and snow will not stick to treated exterior glass surfaces, providing you with a clearer view of the road ahead. Spray liberally onto windscreen and windows and buff with microfiber towels, follow up with a dry microfiber towels to eliminate any leftover. Works in synergy with Opti Glass Coat. Optimum Carpet & Fabric Cleaner & Protectant is a dual purpose cleaner and protectant for automotive carpet and fabric. Optimum Carpet & Fabric Cleaner & Protectant is the only product of its kind that deep cleans carpet and fabric while depositing a clear protective polymer that repels dust and dirt. 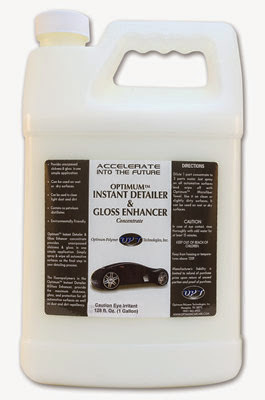 This concentrated cleaner will keep your vehicle’s carpet and upholstery looking and feeling new. Cleaning carpet is arguably one of the most tedious tasks in interior detailing. Most all carpet and fabric cleaners consist of high-octane chemicals that overwhelm your senses and cause you to cough and hack as you spray them. That’s not the case with Optimum Carpet & Fabric Cleaner & Protectant! This concentrated cleaner relies on smart chemistry rather than inexpensive cleaners that often do more harm than good. Optimum Carpet & Fabric Cleaner & Protectant is capable of removing stubborn dirt, grease, and grime. For most applications, you can dilute Optimum Carpet & Fabric Cleaner & Protectant 1:3 with water. For the tougher jobs, like make up and protein stains, Optimum Carpet & Fabric Cleaner & Protectant can be used full strength. This versatile cleaner is environmentally friendly, making it a great choice for vehicles that transport children or pets. As soon as you spray Optimum Carpet & Fabric Cleaner & Protectant onto the affected area, the substantive polymers trap dirt and grime while bonding to the individual fibers, protecting them from contaminants. This makes future cleaning much easier! For most general cleaning, dilute 1 part of Optimum Fabric Cleaner to 3 part of water. Spray onto the area for cleaning, you may choose to agitate with a brush or just straight wipe off with microfiber towels. Full strength can be used for tough stains. Optimum Fabric Cleaner can also be used with steam extractor for strengthened deep cleaning. Works in synergy with Optimum Fabric Coating. 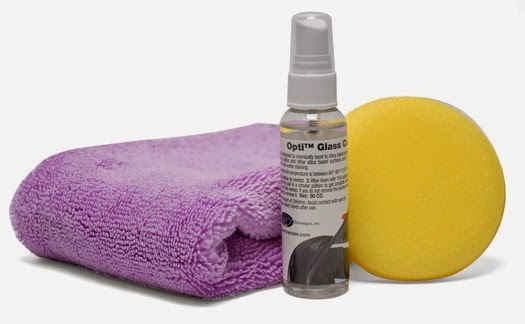 Optimum Opti™ Clean is a combination of substantive polymers and cleaners that safely removes dirt and grime and leaves a glossy protective finish on all automotive surfaces. Optimum OptiTM Clean is based on the same natural polymers used in Optimum No RinseTM. It is safe for use on all automotive surfaces and it's safe for the consumer and the environment. Optimum Opti Clean is in a category by itself! It cleans like a waterless wash, but it offers better protection and gloss. It shines like a premium quick detailer, but Optimum Opti Clean has better cleaning ability and provides superior paint protection. It has no equal. Optimum Opti™ Clean is packaged in a ready-to-use spray bottle. No water or diluting is needed. Just spray and wipe the desired surface with a clean, plush microfiber towel. The amazing polymers will leave a lasting shine and real protection. Opti Clean cleans all surfaces! Optimum Opti™ Clean can be used anywhere! It dries clear and non-sticky so use it on the dashboard, plastic instrument gauges, and glass! On the exterior, you can depend on Optimum Opti™ Clean to provide real protection to tires and wheels, paint, and metals. 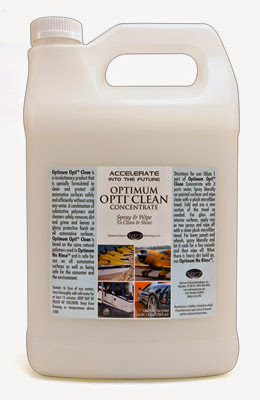 Optimum Opti Clean can be used on the dashboard, door panels, console and glass. 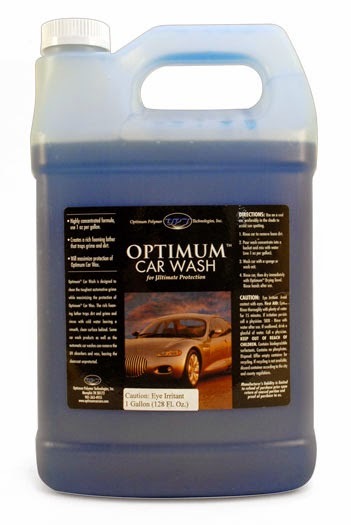 Optimum Opti™ Clean is perfect for detailers and mechanics. Quickly wipe down an entire vehicle before giving it back to the client. Not only will it look fantastic when it's picked up, it will continue to look great long after the client drives it home. Talk about a great impression! Spray liberally on painted surfaces and wipe clean with a plush microfiber towel. Fold and use a new section of the towel as needed. For glass and interior surfaces, apply one or two sprays and wipe off with a clean, plush microfiber towel. For lower panels and wheels, spray liberally and let it soak for a few seconds and then wipe off. When there is heavy dirt build up, use Optimum No Rinse™. The original bottle of Optimum Instant Detailer. Optimum Car Wax's original, fantastic formula was overhauled to provide an even deeper gloss and incredible slickness. Just when you thought Optimum Car Wax couldn’t get any better, this all new formula shatters your perceptions of a spray wax. Try it for yourself! Optimum is the first and only wax that contains UVA and UVB absorbers to shield your paint from all the sun’s harmful rays. The formula combines high-grade carnauba wax and sealant polymers to give you outstanding shine and protection. The carnauba produces a warm, high-impact gloss that is the standard in the auto care industry while the polymers bond the shine to the paint to create the long-lasting durability typical of a synthetic wax. Paint has a beautiful, wet shine and is protected from the sun, acid rain, and pollution for up to 5 months! The propriety formula not only takes care of your vehicle’s best interest, it is environmentally safe. 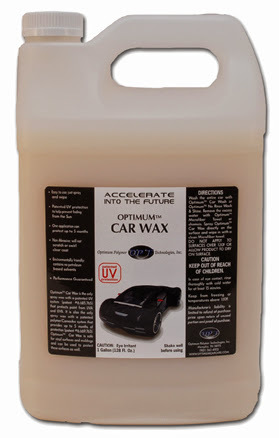 There are no harsh chemicals or dangerous VOC’s in Optimum Car Wax. The best part is that Optimum Car Wax is incredibly easy to apply! Spray it onto your vehicle and spread it over the paint with a microfiber towel. No buffing is required to get a gorgeous carnauba shine! Optimum Car Wax even protects vinyl trim and moldings without staining it. You don’t have to buy a separate vinyl protectant or struggle with white wax residue. Just spray and wipe! It only takes 15 minutes to wax your whole vehicle and it lasts for up to 5 months. Optimum products are used in many detail shops across the country because they save time, deliver fantastic results, and are cost effective. Give your vehicle optimum shine, patented UV protection, and durability with Optimum Car Wax. Just spray on and distribute evenly with Micro Fibre cloth. The original bottle of Optimum Leather Protectant. Optimum Leather Protectant is another innovative product from OPT that cleans, restores, and protects leather surfaces, vinyl surfaces, and moldings. 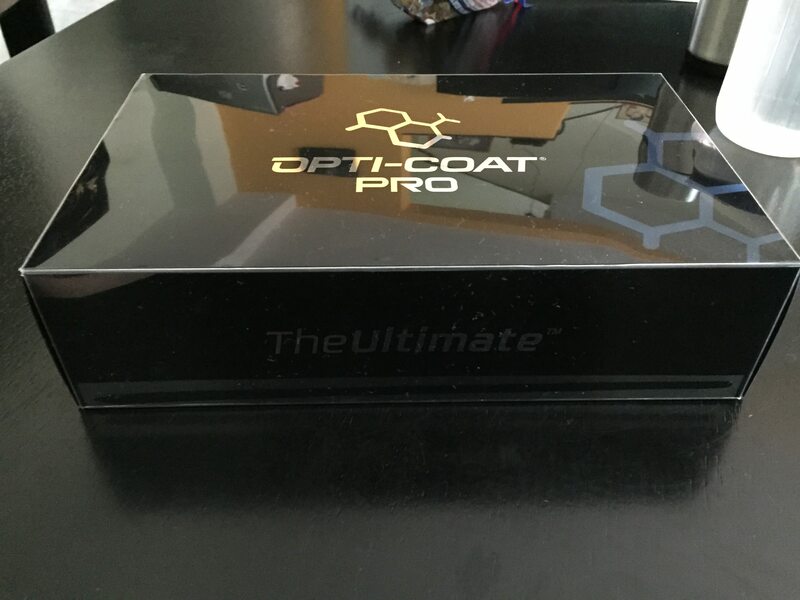 Optimum Leather Protectant contains a balance of cleaners, penetrating oils, reactive polymers, and UV inhibitors that restores the original color of these surfaces, protect against and hide any scratches, and protect against sun damage. Just like automotive paint which has undergone major changes in technology, automotive leather and vinyl surfaces have also improved considerably in the past decade. Nearly all automotive leather surfaces are treated with special chemicals that provide resistance to scratching and marring, increase their durability, and provide protection from weathering. The chemistry of vinyl surfaces has improved dramatically as well to give these surfaces leather look and leather feel. The vinyl surfaces are also treated with similar chemicals as those used for automotive leather to increase their durability and to provide protection from weathering. These protective chemicals are lost over a period of a few months. Optimum Leather Protectant cleans these surfaces and replenishes the protective chemicals while adding UV protection to these substrates. Most leather or vinyl protectants in the marketplace leave an oily film behind on these surfaces which gives them a glossy look and an slick feel. Since these products are not absorbed into these surfaces, they last a few days and mainly act as a dust magnet. Optimum Leather Protectant keeps leather supple and helps reduce cracking of vinyl and leather surfaces, as well as reducing scratching and marring. Optimum Leather Protectant penetrates and adheres to these surfaces; therefore, it does not make these surfaces oily or slick and provides lasting protection. Optimum Leather Protectant also works great on the outside trims and moldings. These are just some of the reasons why Optimum Leather Protectant is preferred by many detailing professionals. 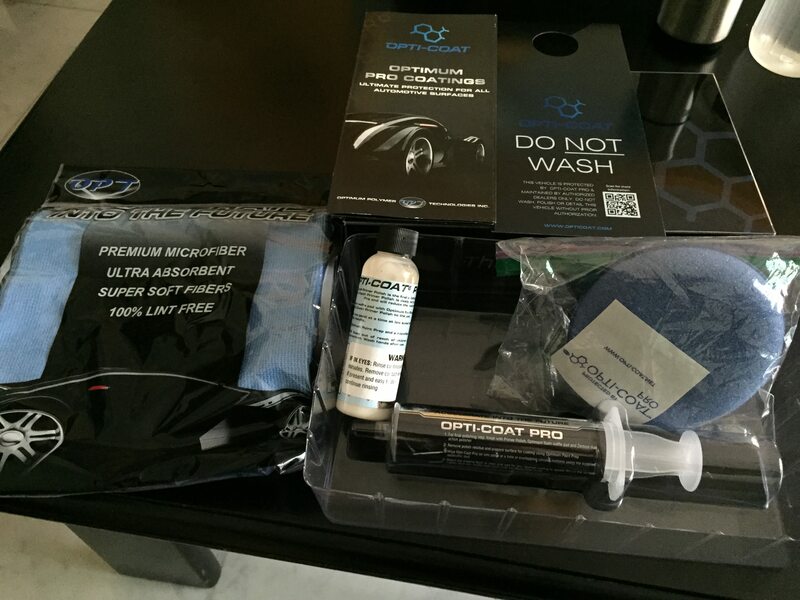 Optimum Leather Protectant works equally well on vinyl. Since vinyl is made to simulate the look and feel of leather, they are both treated with similar protective chemicals. Optimum Leather Protectant mimics these chemicals to restore your interior’s original texture and resiliency. It doesn’t deposit greasy gloss agents on the surface that ultimately attract dust. Optimum Leather Protectant cleans and protects these surfaces with a low-gloss, satin finish that stays clean. Apply a few spray to foam applicator/soft micro fiber towels, and then begin to rub in and along all intended surface. You may also spray directly on the surface intended then proceed to wipe it evenly with foam applicator/soft micro fiber towels. Optimum FerreX is a powerful cleaner that bonds to and dissolves ferrous oxides (iron particles) from all exterior surfaces including paint, wheels, glass and chrome. This acid-free, pH-balanced iron remover protects your vehicle’s exterior surfaces from long term damage caused by corrosive iron deposits. In addition to removing iron deposits, Optimum FerreX Iron Remover cleanses your paint of tar and old waxes, leaving the paint clean and ready for polishing. Optimum FerreX Iron Remover changes color as it dissolves iron particles! Optimum FerreX Iron Remover bleeds red as it removes iron particles! Use on paint to remove iron particles. Color-changing formula shows you that it's working! and ferrous iron particles have already started to penetrate the paint. What does this mean for your car? While it’s a relatively slow process, these iron deposits will eat away at the clear coat over time, causing permanent damage. That’s the bad news; the good news is that you can safely remove iron contamination with Optimum FerreX Iron Remover! Optimum FerreX Iron Remover quickly dissolves ferrous oxides from exterior surfaces, leaving your paint, wheels, glass and chrome squeaky clean and contaminant free. Furthermore, Optimum FerreX Iron Remover will dissolve and remove other surface contaminants such as tar and wax at the same time. Optimum FerreX Iron Remover is a multi-purpose exterior cleaner that makes it FAST and EASY to remove the contaminants that hinder the true gloss potential of your vehicle’s paint. 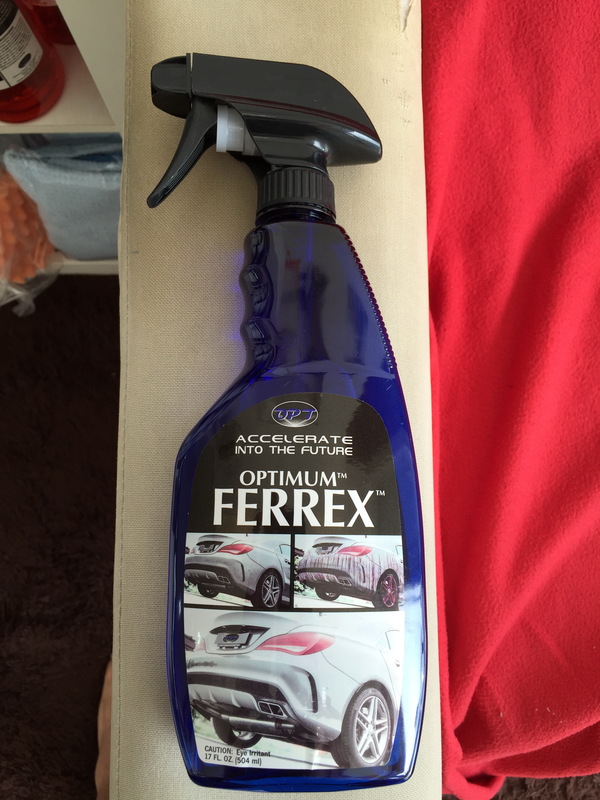 Optimum FerreX Iron Remover is one of the best wheel cleaners you will ever use. Wheels receive more iron contaminants than any other part of your vehicle, making them a perfect candidate for a cleansing with FerreX. Optimum FerreX Iron Remover will show you that it’s working by turning red as it dissolves iron particles! Optimum FerreX Iron Remover is easy to use. Simply wash the desired surface with Optimum Car Wash, rinse thoroughly, spray FerreX directly onto the surface and allow 1-2 minutes of dwell time. Agitate with a sponge or brush as needed and rinse off with a strong jet of water. That’s it! Follow with your favorite Optimum polish or wax. Optimum Gloss-Coat is a high-tech polymer system that forms an extra layer of clear coat over painted surfaces, wheels, plastic trim, bumpers, aluminum, and chrome. Formulated by award-winning Dr. David Ghodoussi, Optimum Gloss-Coat is designed to provide unsurpassed resistance to etching caused by harsh detergents, and swirl marks that are often inflicted during the wash process. Surfaces that are coated with Optimum Gloss-Coat will be protected for up to two years. 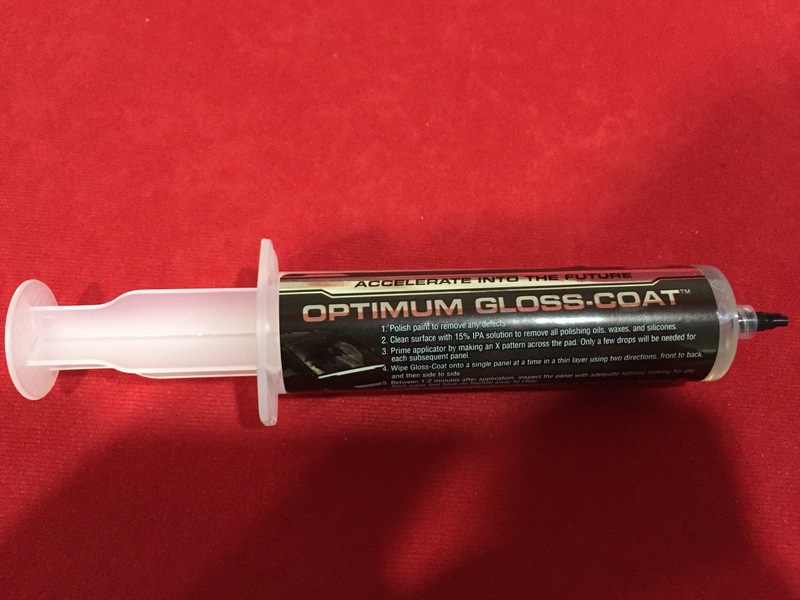 Optimum Gloss-Coat is much like the clear coat that already exists on your vehicle, except it forms a shell of protection that is glossier, slicker, and less prone to wash-induced swirl marks and marring. Optimum Gloss-Coat creates a self cleaning finish that is considerably easier to clean and maintain compared to conventional waxes and sealants. Carnauba-wax lovers rejoice – Optimum formulated Gloss-Coat so you can top it with your favorite non-abrasive finishing wax. Optimum Gloss-Coat can be applied to all exterior surfaces. It is not recommended for glass since improper application can affect visibility. For other exterior surfaces, Optimum Gloss-Coat is a highly effective, transparent protective coating. Optimum Gloss-Coat is an additional barrier between the elements and your vehicle's paint. The paint will retain its color and contaminants will be blocked out to keep the paint smooth and clean. Unlike waxes and paint sealants that require frequent reapplication, Optimum Gloss-Coat provides constant, unyielding protection for up to two years! Because Optimum Gloss-Coat is semi-permanent, the paint finish has to be properly prepared before applying it. Any blemishes or contamination on the paint will be locked in so remove them first! On a properly prepared paint finish, Optimum Gloss-Coat will look clear, smooth, and clean. Once Optimum Gloss-Coat cures, washing is the only maintenance needed to keep your vehicle looking fantastic. The coating can be clayed but it should not be necessary since Gloss-Coat releases contaminants easily. Use detail sprays as desired to intensify the gloss. You can top the coating with your favorite non-abrasive wax or sealant if you desire. 1) Polish paint with Optimum Polish II or Optimum Hyper Polish to remove any defects. 2) Clean surface with 15% IPA solution to remove all polishing oils, waxes, and silicones. 3) Prime the applicator by making an X pattern across the pad. Only a few drops will be needed for each subsequent panel. 4) Wipe Optimum Gloss-Coat onto a single panel at a time in a thin layer using two directions, in a circular or front to back direction. 5) Within 5 minutes, inspect the panel with adequate lighting looking for any thick areas that have not flashed away to clear. 6) Use foam applicator or paint safe microfiber to even out any areas where you see streaks. This step is key, as any spots not leveled will have to be polished if allowed to cure. Panels will feel a bit tacky and will be self-leveling during cure time, so avoid any unnecessary touching, wiping, or contact to produce the best results. 7) Repeat steps 1-6 for each panel where application is desired. Optimum Opti-Seal is a revolutionary paint protection formula that creates unmatched slickness and gloss with just a few drops per vehicle. One ounce completely seals and protects 4-5 cars! This product leaves no residue and requires no buffing. Enjoy months of durable polymer protection with just drops of Opti-Seal. The science behind Opti-Seal is incredible. The hyper concentrated polymer sealant begins cross-linking as soon as it hits the paint. Opti-Seal flashes almost immediately to leave a polymer film on the paint.Opti-Seal is not a short-cut product. It is a state-of-the-art, stand-alone spray sealant that provides real, durable protection for paint, plastic trim, and wheels. This is a last step product, not a maintenance product. After polishing, apply Opti-Seal and walk away. Opti-Seal is the only paint protection your vehicle needs. 1) Spray a small amount of Opti-Seal directly on to car paint, or onto foam applicator. Distribute evenly. Optimum Opti-Lens Headlight Coating is a resin-based coating designed to protect headlights against yellowing, fading and discoloration for the life of the vehicle. 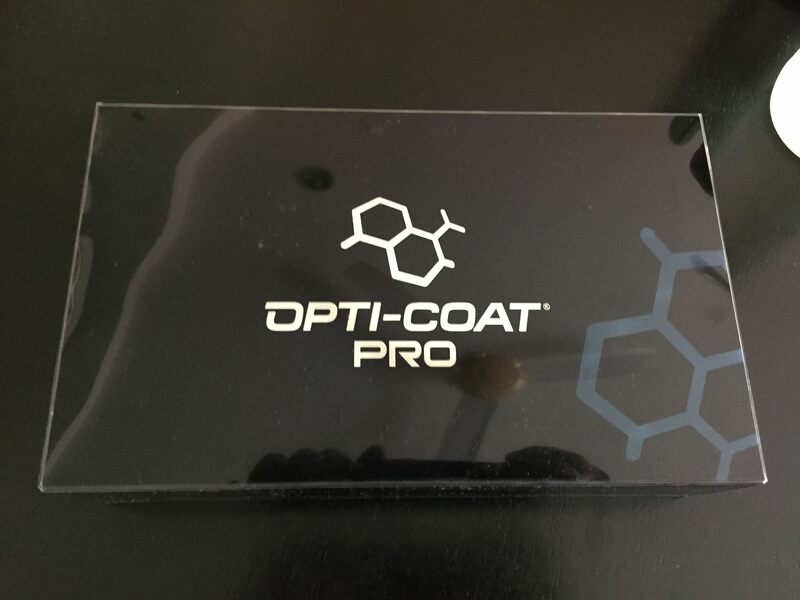 Optimum Opti-Lens Headlight Coating forms a covalent bond with the headlight and cross-links to blanket the lens with a durable, protective film. Headlights coated with Optimum Opti-Lens Headlight Coating will retain perfect clarity in any environment – forever! Nearly all vehicles manufactured since the late 1980s feature polycarbonate headlight lenses. This material is lightweight, impact resistant and far safer than the glass lenses of yesteryear, making it the ideal choice for modern headlight construction. There is one drawback to this material: UV induced fading and discoloration. Dull, yellowed headlights take away from vehicles that have otherwise been polished to perfection using Optimum’s line of polishing compounds. If you've ever walked down a row of parked cars at the mall or shopping center, you’ll notice a trend – yellow, dull, cloudy, oxidized headlight lenses on nearly every vehicle that’s not brand new. Intense UV rays from the sun paired with rain, pollution, road salt and bugs all eat away at the factory-applied clear coat on your headlight lenses. Optimum Polymer Technologies developed Opti-Lens Headlight Coating as a solution against yellowed, discolored headlights. 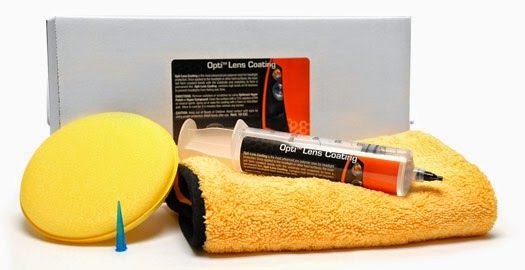 Optimum Opti-Lens Headlight Coating is a highly modified version of Optimum’s first coating – Opti-Coat (once known as Opti-Guard). Polycarbonate headlight lenses require far more UV protection than paint does so Dr. David Ghodoussi – CEO and chemist behind Optimum Polymer Technologies – formulated Opti-Lens Headlight Coating with the highest amount of UV inhibitors available in a coating. The result is a headlight-specific coating that ensures your vehicle’s headlights retain optimum clarity throughout the lifespan of the vehicle. Optimum Opti-Lens Headlight Coating is designed to be applied to headlights that are free of any oxidation or yellowing. If necessary, polish the headlights to restore optical clarity and then wipe them down with a 15% solution of isopropyl alcohol. Apply an ultra thin coat of Opti-Lens and allow to cure for 3-5 minutes. Remove any excess with a clean, dry microfiber towel. Optimum Opti-Glass Coating is a must if you live in an area with frequent snow fall. Rain, sleet, ice and snow will not stick to treated exterior glass surfaces, providing you with a clearer view of the road ahead. What’s more, Optimum Opti-Glass Coating lasts up to a year and is incredibly easy to apply! 1) Recommended to apply when the temperature is between 60°-90° F (15°-30°C). Do not apply in direct sunlight. 2) Thoroughly clean surface and use Optimum Opti-Eraser to remove bonded contaminants. Polish glass if scratches are present. 3) Before applying, wipe glass down with a 15% solution of isopropyl alcohol. 4) Spray Opti-Glass directly onto foam applicator pad and apply in an overlapping, circular motion. 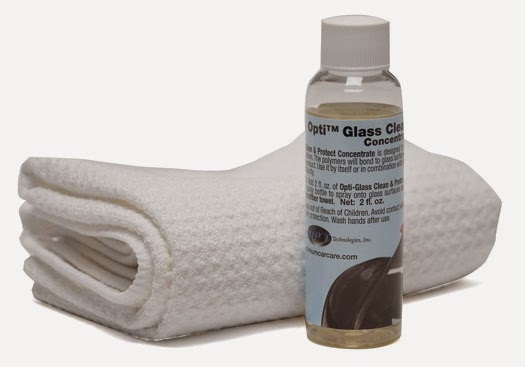 5) Allow Opti-Glass to cure for 20 seconds and remove excess with a clean, dry microfiber towel. 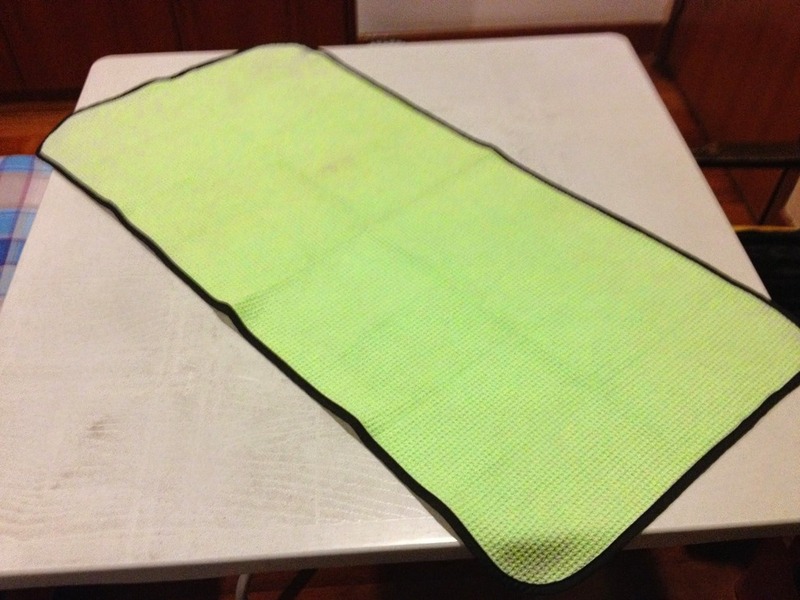 Used as demo unit in shop, the Supreme Guzzler Drying Towel. Use this to apply sealant, waxes. Some also uses this for some light hand polishing. 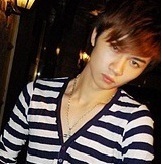 bro, do u hv this shampoo? if so, how much? Hi bro, we did not bring this in for consumer purchase, as ONR is much more friendly and easy to be used with. can it clean away window rubber stubbon dirt?